A LOVELY MUST SEE HOME WITH SPLIT PLAN LAYOUT! LOCATED IN CLOSE PROXIMITY TO I-295, SCHOOLS, RESTAURANTS AND SHOPPING. 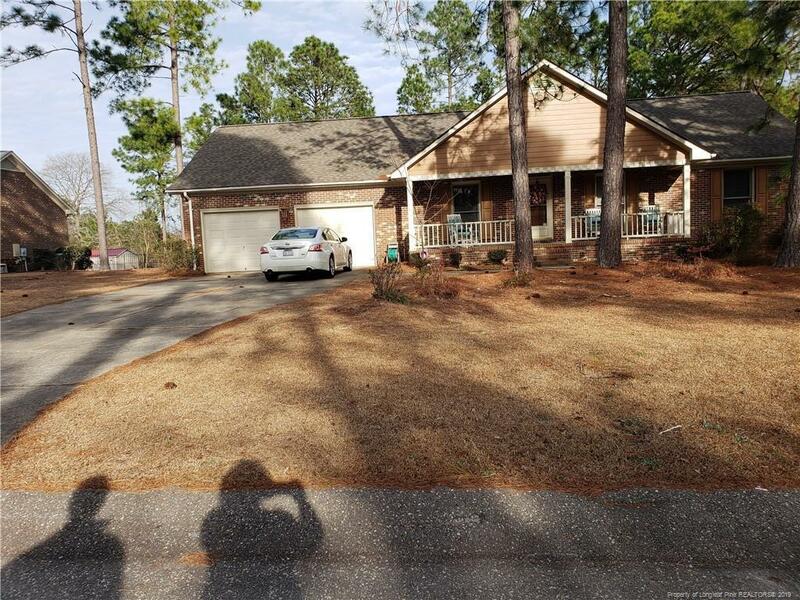 HOME FEATURES GORGEOUS ORIGINAL HARDWOOD FLOORS, 4 BRS, 2 FULL BATHS, 1 POWDER RM (HALF BATH), NICE EAT IN KITCHEN, A LARGE SEPARATE LAUNDRY ROOM AND A VERY LARGE SCREENED IN BACK PORCH. THIS HORNADAY-BUILT HOME HAS BOTH FORMAL LR & DR PLUS FEATURES LIKE HEAVY CROWN MOLDING & CHAIR RAILS. ENTER THE HOME THROUGH A LARGE FOYER W/ BEAUTIFUL UPDATED LIGHTING INTO THE LARGE GREAT ROOM W/HARDWOOD FLOORS AND MASONRY FIREPLACE. FOUR SPACIOUS BEDROOMS ARE LOCATED ON THE 1ST FLOOR, EACH WITH AMPLE CLOSET SPACE. THE FUNCTIONAL EAT-IN KITCHEN HAS ALL APPLIANCES AND LOTS OF CABINETS & COUNTER SPACE. THE MASTER BR W/EN SUITE MASTER BATH W/GARDEN TUB & SEPARATE SHOWER IS LOCATED AWAY FROM THE OTHER BRS FOR PRIVACY. THIS PICTURESQUE COMMUNITY IS LOCATED ON THE FAST-GROWING NORTH SIDE OF TOWN WITH EASY ACCESS TO FT. BRAGG, CROSS CREEK MALL, CAMPBELL UNIVERSITY AND THE RALEIGH AREA. Directions: From Good Year On Ramsey St: Pass Pine Forest Middle School, Take A Left On Elliot Bridge Rd, Merge Left Onto Elliot Farm Rd, Turn Left Onto Dragonhead Into Pine Valley Subdivision, Take Left On Firethorn - The House Will Be Down Firethorn On The Left.